Park Geun-hye, the ousted South Korean president, used her one-on-one meeting with Samsung Group's de facto leader to whine about the JTBC, a local cable TV channel, for its news reports against her, according to testimony revealed Wednesday. 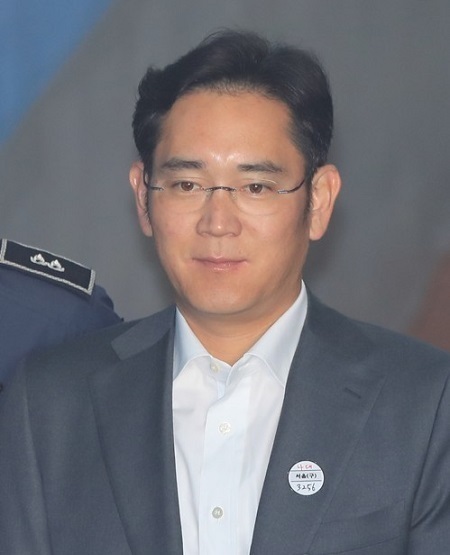 Lee Jae-yong, the jailed vice chairman of Samsung Electronics Co., was quoted as telling special prosecutors that Park took a swipe at Hong Seok-hyun, former head of the JTBC and his uncle, in their closed-door meeting while she was in office. The timing of the comment was not known. The prosecutors disclosed Lee's related testimony at his trial. He has been indicted for bribery in a scandal that led to the impeachment of Park. According to Lee's testimony, Park complained about Hong for "about 10 minutes," taking issue with JTBC news reports critical of her administration. He also testified that Park had separate meetings with Hong as well. Earlier this week, Hong, who recently resigned as the chairman of the JTBC and the JoongAng Ilbo newspaper, said in a YouTube message that there was "outside pressure" in connection with the JTBC's reports against Park. In the trial, meanwhile, Lee denied the allegations that he had effectively offered kickbacks to Park for business favors via her long-time private aide Choi Soon-sil at the center of the scandal. Samsung provided a huge sum of money and even a costly horse to Choi's daughter Chung Yoo-ra, who is an equestrian. Park is alleged to have pressed Lee to support Chung, with prosecutors regarding Park and Choi sharing a pocketbook. Lee's lawyers argued that he was not aware of details related to Samsung's sponsorship for her handled by the group's future strategy office.